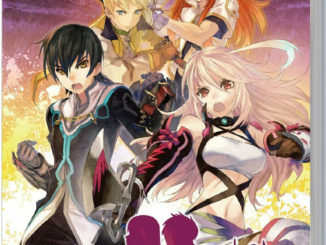 The Tales of Xillia event will take place from August 26 until September 25th in Namco Namja Town, Sunshine City shopping complex, Ikebukuro, Tokyo. 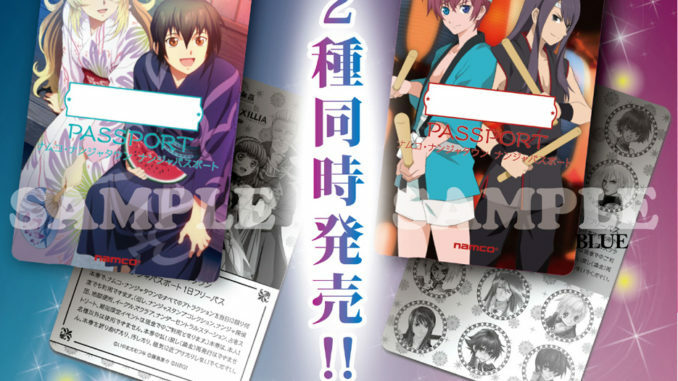 For the duration of the event, special Tales-themed Namja passports will be available: one Xillia themed, and one Asbel and Yuri themed. It will cost 4,000 Yen each for adults and 3,400 Yen each for children. First up is the Tales of Garaponia, which is similar to those lottery games where the prize is symbolized by the color of the ball that comes out from the spinning container. The gold balls, or the special gumi/gel, will get you one of those 25cm badges. The blue ones/miracle gels will get you the 7.5cm badges, and the red ones, the apple gels, will get you postcards. One spin will cost 300 Yen. 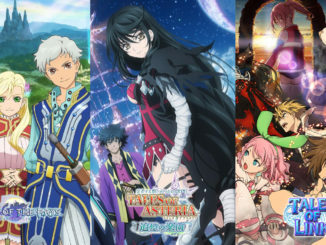 The goods shop will include a variety of original goods exclusive to the event, namely some coasters (300 Yen each), beauty mirrors (500 Yen ea), handkerchiefs (600 Yen ea), a glasses case including a printed cloth, currently featuring either Hubert Ozwell from Tales of Graces and Jade Curtiss from Tales of the Abyss (1000 Yen ea) and a Tipo key cover (500 Yen ea). Those whose purchases will reach at least 1000 Yen and above will receive a special mini poster (Thanks again, Etherlite). And of course, there's the food. 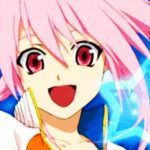 There will be a total of 25 available Tales-themed dishes/snacks for the event, ranging from the expected Mabo Curry to food shaped like some of the characters' weapons and heads. Surprisingly, there's no sign of peach pie. Every order comes with a particular Tales-themed card, depending on the dish.